Along the Mile End Rd between the City and Bow, there is only one Italian restaurant of distinction. It is Verdi’s, a fine establishment offering a generous welcome and authentic northern Italian food at highly reasonable prices. 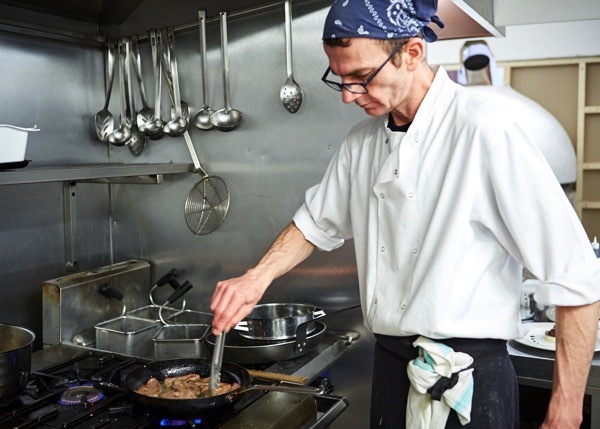 Early in the week, a two course meal can be had for a tenner, yet everything – including the pasta – is prepared on the premises from fresh ingredients and the bread is baked daily. 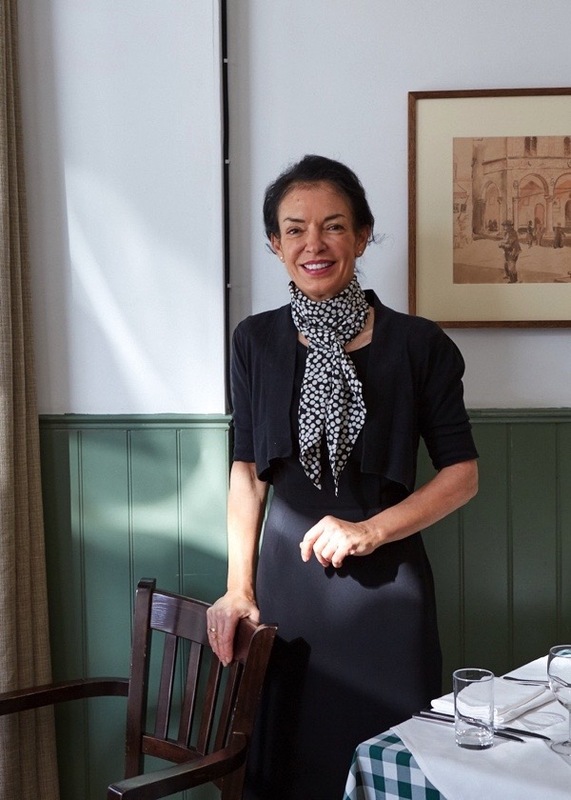 Set in an old terrace between Stepney Green tube and Mile End Place, this restaurant is run with scrupulous devotion and panache by sisters Anna & Mimi Orsi who are continuing a family culinary tradition which extends back a century in the East End. Old photographs on the walls attest to this Orsi legacy, complemented by elegant drawings by local artist Dorothy Rendell whom I interviewed last year. Contributing Photographer Patricia Niven & I enjoyed the privilege of visiting on St Giuseppe’s Day recently to savour the traditional cuisine and discover the story behind this cherished family restaurant. We learnt it was a significant day in recognition of Giuseppe Verdi but – more importantly – celebrating ‘Giuseppe’ as the name adopted by generations of men in the Orsi family, just as Anna & Mimi have been the chosen names for the women as long as anyone can remember. 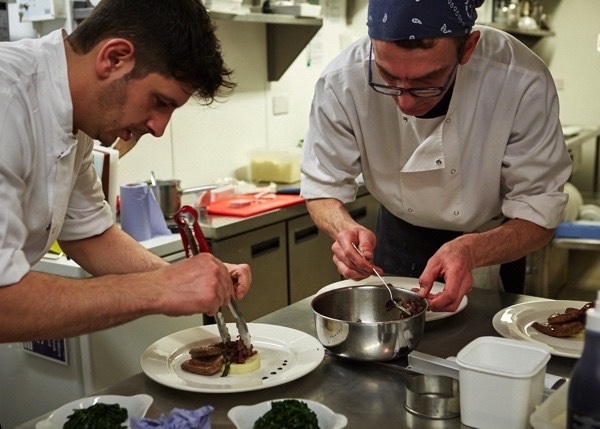 Yet I must confess we were most excited about the customary St Giuseppe’s Day dish of calves’ liver with spinach, prepared in the time-honoured fashion. While Patricia Niven disappeared into the kitchen to photograph chef Marcio Polezia preparing his St Giuseppe’s Day speciality, I settled down hungrily to enjoy a dish of home made tortellini in brodo as the first course of this special meal. Soon enough, the calves’ liver served with spinach, mashed potato and red onions arrived. 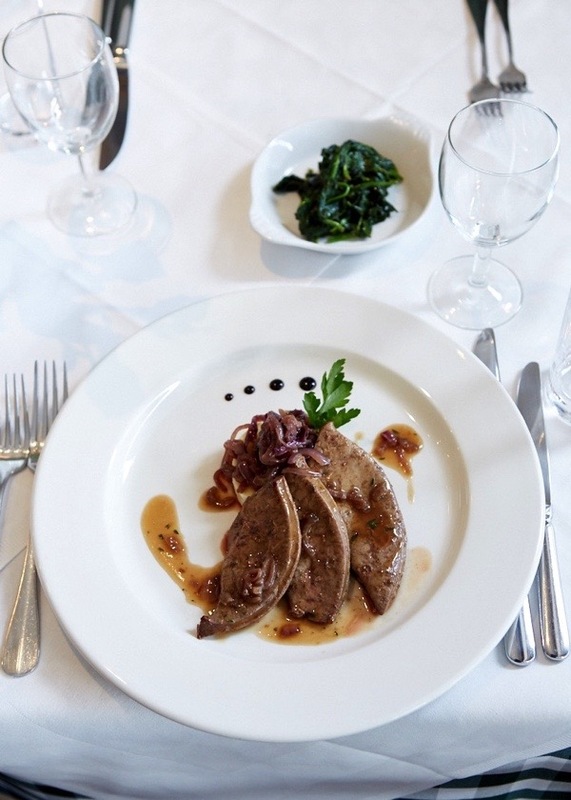 As one accustomed to eating leathery calves’ liver that is almost dry, this was a succulent treat – still pink inside – complemented by tangy spinach that was cooked just sufficiently to retain its delicious texture. After such a memorable lunch, I had the pleasure of Mimi & Anna Orsi joining me at the table and telling me the extraordinary story behind their wonderful restaurant. It was only my first visit to Verdi’s but I already knew it would be first of many. Anna – The story of our family in London begins in Clerkenwell. Mimi - Our nonno [grandfather] Giuseppe, he came here more than hundred years ago and lived in Warner St, Back Hill at the back of the Italian church. He walked from Parma where we come from and he made his way to Paris, where he stopped and worked there for a year, then he moved over to London. Anna – Italians aren’t very adventurous with their names for cafes. 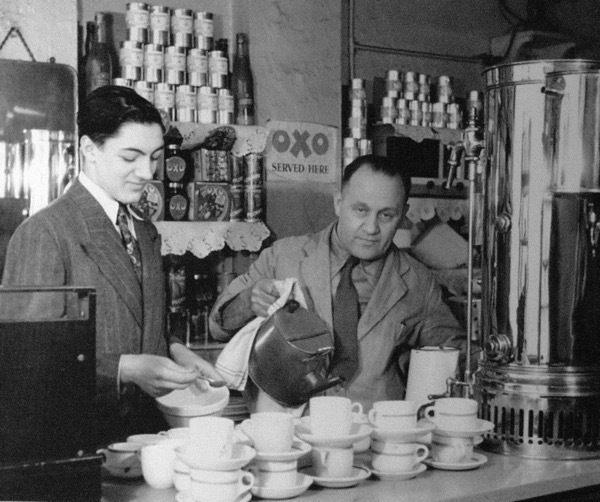 You have probably seen those around Liverpool St Station called ‘Savoy,’ that’s because they used to work at the Savoy. My nonno, he called his ‘The Grand Cafe’ because the most expensive and most beautiful one was The Grand Cafe. Mimi – When the Second World War broke out, he was going to be an Italian in London and he had trouble. Anna – Mostly – my dad said – they came from Canning Town and they wanted to smash the cafe up. The police came along they would not stop them, so the Irish publican from the next street climbed over the back fence. He said, ‘Joe, get the kids and everybody out,’ so they all went over the fence to the pub. 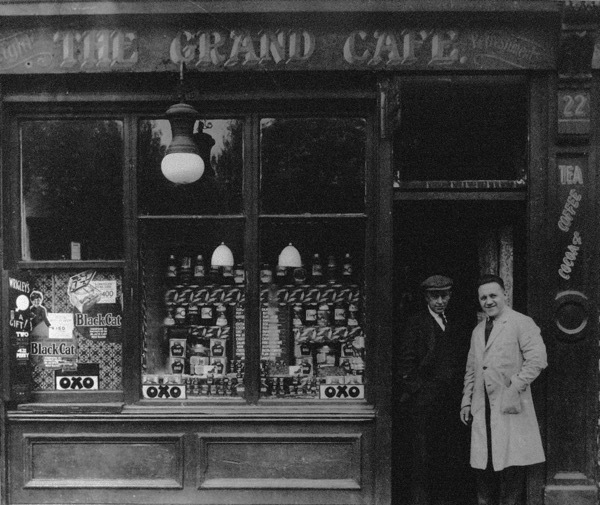 Then the Irish publican and my father stood outside the cafe to face the men who were gathered there. Mimi - The police stood back and said to the people, ‘You’ve got five minutes to do what you want,’ stealing cigarettes and food. Anna - It wasn’t that they hated them or had any bad feelings towards Italians personally, it was just an opportunity to grab. Mimi – It was the war and Italy was the enemy. Anna – My nonno said to them, ‘There’s more of you than us – there’s only two of us – but the first man that comes near my cafe I will kill.’ So they never came near it! After that, he put up the photograph in the cafe of my uncle in uniform fighting for Britain to stop them doing it again. Mimi - He hid his wife and children down at Leigh on Sea with his mother. Anna – She was meant to be interned, so every time a policeman came around they used to push her into the bushes to hide. Mimi – If she had been caught, she would have been interned and possibly sent on the Andorra Star that sank. 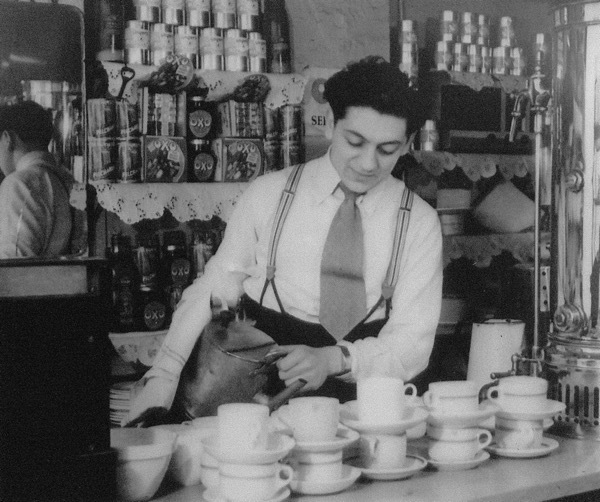 Mimi - When many Italians came over to London, it was their first port of call and they’d work for him for two or three months, washing up or peeling potatoes, and they’d sleep upstairs until they got accommodation. Anna – After the war, they employed Mimi – a lovely lady. Mimi – During the war, she had been in Italy. Our family were partisans, helping the British and Americans get over to Switzerland. She had two cellars under where she kept the cows and she hid a British and an American officer when the Germans came. She tripped the German up on purpose to distract his attention, so he got his gun and held it to her head. He was about to shoot her, but she said, ‘No I tripped!’ and pointed to her toe that she had cut working on the farm that morning. There was still blood on it. Anna – And the British and American soldiers got away! After the war, they used to come to nonno’s cafe to see Mimi because if it weren’t for her, they’d all be dead. Mimi – She was a nanny and she brought my father up and then she married into the Biffa family, famous for their dustcarts. Mimi - … but my nonna [grandmother] carried it on until the late seventies, though she couldn’t do it on her own. Anna - We used to love it! Anna – She used to let us take boxes of Blue Ribbon chocolates home. Mimi – And bottles of Coca Cola. Anna – We didn’t have sweets at home! Our parents grew up in the war. Mimi - We wanted so much! We just used to go down and open bottles of Coca Cola. My mother used to go mad. Anna - We had never had bottles of Coca Cola, we were only allowed lemonade on our birthdays. Mimi – Nonna always bought us the most amazing Christmas presents, I got Tiny Tears! Anna – We used to go the cafe and sit down as a family for Christmas dinner and eat really beautiful food. Mimi - Going my nonna’s room was a bit scary, it was through a side door and full of old things, my father’s and his brothers and sisters’ old toys. It was dark and there was the smell of mothballs. Anna - There was no bathroom, it was in the back yard. They used to get paid to keep the elephant from the circus in the back yard when it was in town. 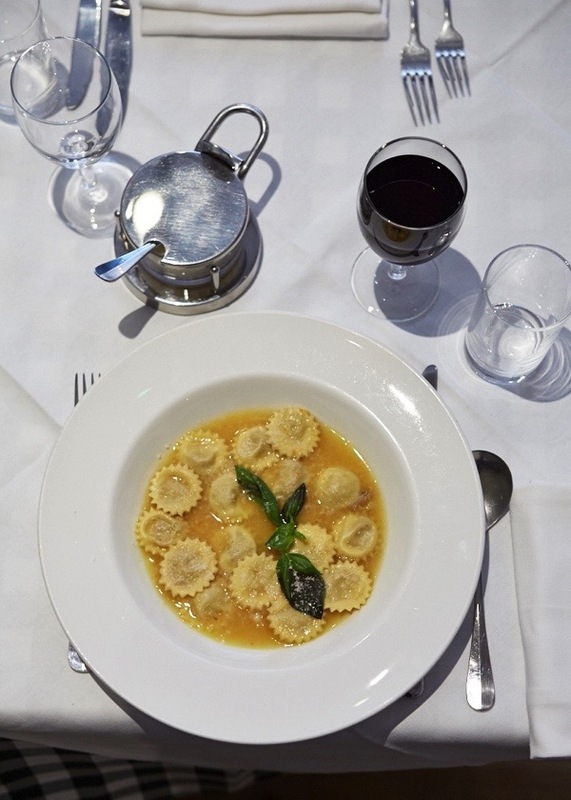 Mimi – She used to make the most wonderful tortellini in brodo, which you had today. Anna - But we thought it would be different today. Mimi - They cooked, they served and they cleaned. 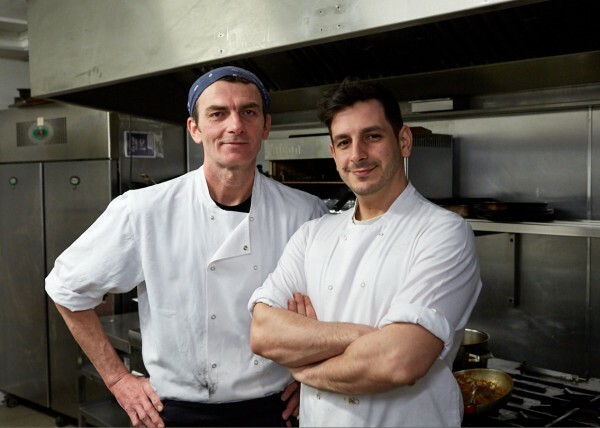 Mimi – We used to go back to Italy just to eat true home Parma food and in the end we said, ‘There’s nowhere where you can get proper Italian food between Aldgate East and Bow.’ So we opened this place, and nonna was right – it’s killing us! Anna – We grew up around restaurants and it is in our blood. Mimi – I love the mornings! I am the early morning person and she’s the late nighter. Anna - You take care of the cooks. Mimi – I make sure the deliveries are in and the cleaning is done, and she does front of house. I’m domesticated, she’s not! Mimi - We live across the road from each other, round the corner in Mile End. We were always close as children. 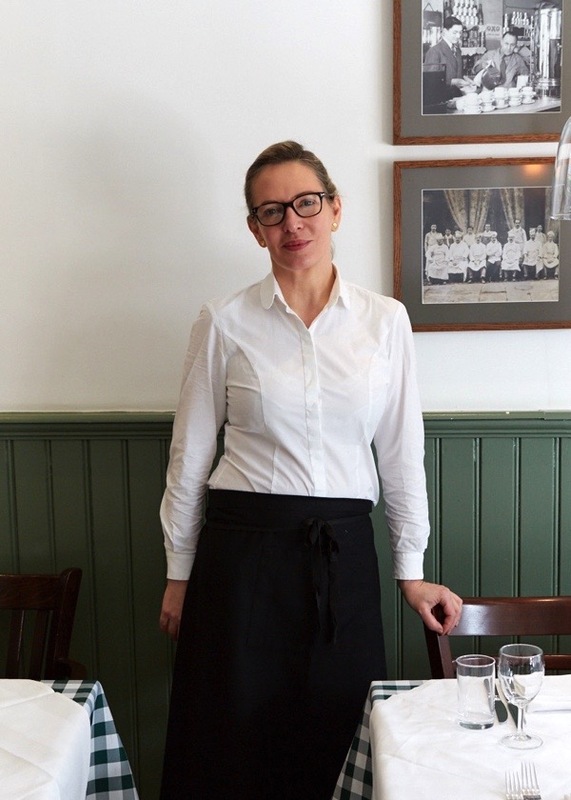 Anna - We opened on our nonna’s birthday which was 26th July four years ago. Anna - And especially my nonno! Mimi – … that we carried the business on. A lovely story, the bonus being that it made me drool also. Now I have another venue to try while in the Smoke. Thank you for this post Gentle Author. 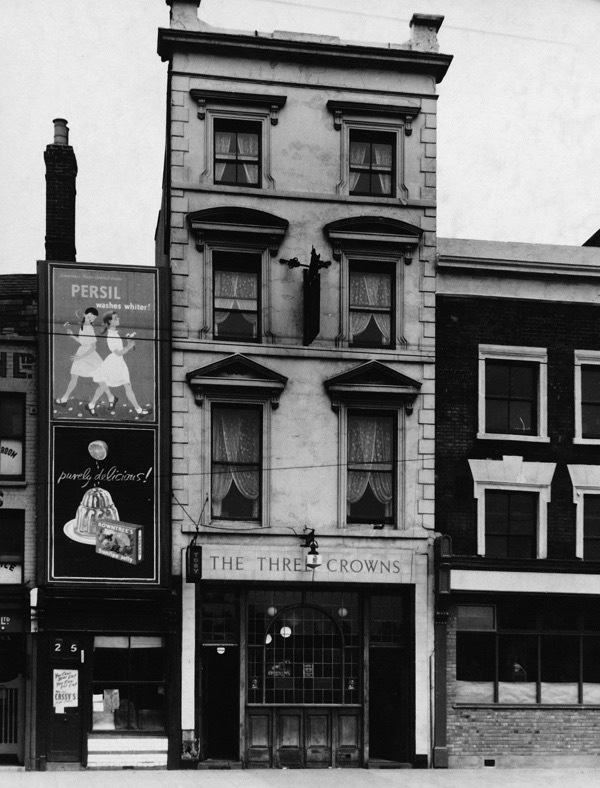 My third great uncle Rowland Hirst (1848 – 1923) was the landlord at the pub at this address for about 30 years when it was Three Crowns. I can vouch that the food at Verdi’s is delicious and the service very friendly. Well worth a visit either if you’re in the area or, blow it, make a special trip! Fascinating story about Giuseppe and the incomparable Nonna. What an amazing story, and very heartwarming. I have great admiration for these two ladies, and long may Verdi’s thrive. It will be put on my list of places to eat! 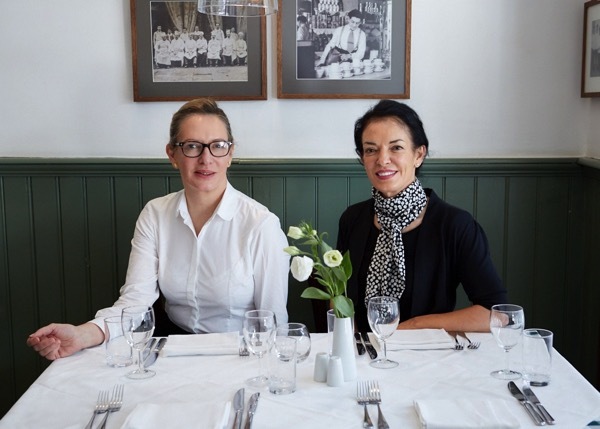 GA, what a great story of Anna and Mimi Orsi and their family tradition in the restaurant business in London. 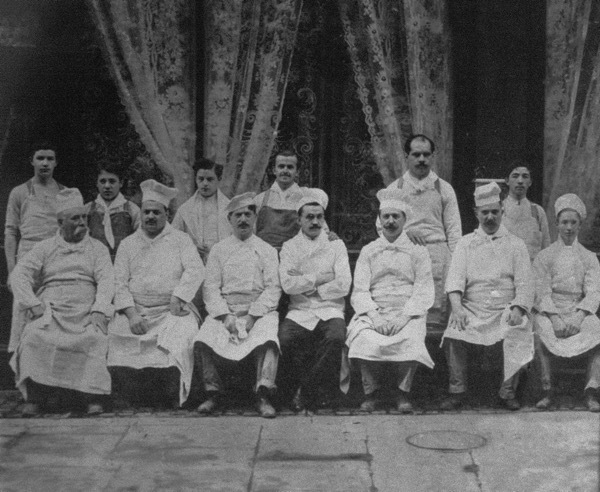 Intriguing how they and their staff retain their youthful shape amidst these Italian delicacies. A lovely article, a wonderful story, great photos and I will definitely be making a visit to Verdi’s! A very interesting account of Italians in Clerkenwell being treated very differently in the Second World War. I was reminded in their comments of the late 1940s / 1950s visual images of the late Colin O’Brien who often photographed local Italians including their teenage children at the time. Fabulous! Next time in London we will stop by. I don’t know what Ada would say! W Verdi! Anch’io sono orgoglioso di esser un italiano di Londra. La vostra ‘storia’ e’ da raccontare a tutti. I went there last night with friends and family and we had a wonderful time! Friendly and efficient staff, a great menu and a lovely atmosphere. We’ve just booked for tomorrow — thanks Gentle Author for encouraging us to try a new restaurant. We’re really forward!